James Herschel Sims age 85 of Marianna, passed away on Friday, March 15, 2019 at his home. He was native of Marianna born on October 18, 1933 to the late James Williams and Mary Magdalene Williford Sims. 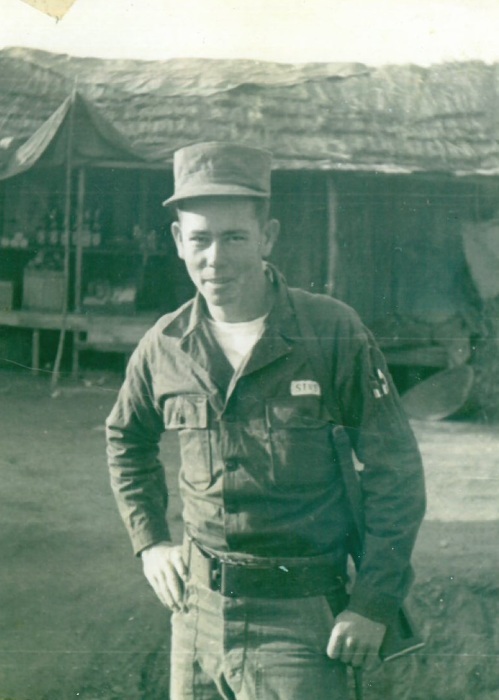 James served his country four years in the United States Army during the Korea War and continued his service in the National Guard for 24 years where he retired as a Mess Sergeant. He loved to work. You could always find him fixing, building, or creating something. James has been a member of Rocky Creek Baptist Church where he served as an ordained deacon since 1968. He was preceded in death by his parents, his brothers Johnny Sims, Abe Sims, Cecil Sims, Rudolph Sims, and Edward Sims, sisters Nancy Annabelle Cutchins, Idell Sims, and Dicie Herring. A memorial service for James will be held at 10:00 AM on Wednesday, March 20, 2019 at Rocky Creek Baptist Church with Rev. Roland Rabon officiating. Family will receive friend from 9:00 AM until time of service.